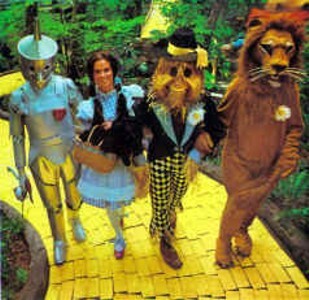 What on Earth Happened to The Land of OZ? Seldom does a day go by that I don't get asked this question. I see second and third generations in search of OZ. It is part of my job, and my goal, to maintain the remains, artifacts, and memories of this old, special place, and to share with others its bittersweet story. 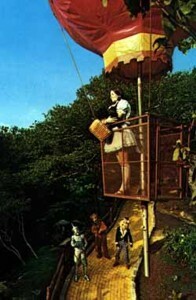 Oz was dreamed and designed by Jack Pentes, on behalf of Carolina Caribbean Corp., and headed by Grover Robbins, of Tweetsie RR. Both men were exceptional "visionaries". It was their plan to create something special for children - something that would be fun and financially compatible with the ski slopes of Beech - and, in turn, would bring parents, purchasers of resort property. Just as important, local talent and craftsmen were employed, bringing pride and opportunities to the area. It was a grand dream and was done in a grand fashion. OZ exceeded everyone's expectations of success. Six months before its opening, however, Mr. Robbins contracted bone cancer and passed away. He was young and handsome and lived a "whirlwind" life. (Everyone who ever met him has stories to tell of Grover.) He left behind OZ, Tweetsie, Hound Ears, Beech, Land Harbor, and what is now Elk River Club, as well as North Carolina and Caribbean coastal properties. Each met their own destiny, and Mr. Robbins was given a memorial marker on the pinnacle of Beech, where he could forever soar, one of his most favorite joys in life. 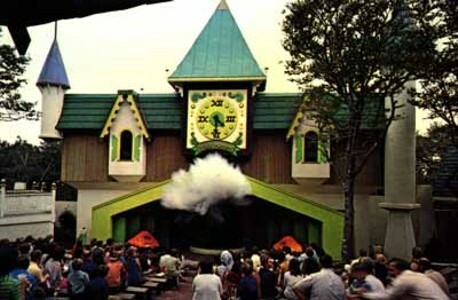 OZ was operational from 1970-80, but changing times, economics, liabilities, maintenance, and other interests of its owners, along with the lack of change at OZ, took their toll on the park. Ten years passed with the property reverting back to its original owners. Vandalism and nostalgia seekers destroyed much of the remains. Even today, people try to take a "piece" of OZ, to our despair. 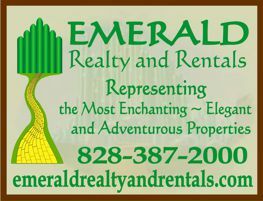 In 1990, the 450 acre project known as Emerald Mountain development was begun, the concept of creating homesites with respect to The Land Of OZ being one of our goals. In the past eight summers, OZ has gone from being an "archeological dig" to an enchanting private garden, with Dorothy's farm restored, gazebos renovated, fountain, pond and waterfall made operational, and the yellow brick road unearthed and patched. For now, the character houses and Emerald City are gone. But each summer we add something back to OZ. Sometimes it is original items returned to us from caring friends. One of my proudest moments was hauling back to OZ what I believe to be the very last balloon in existence. The park is not, nor will it ever be, what it once was. 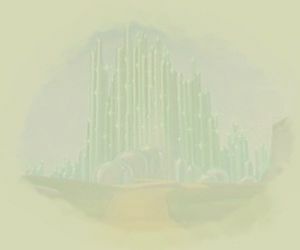 However, with its maturing flora and graceful aging, it has evolved into its own unique entity. Dorothy's house is a lovely cottage we now rent to romantics wanting to escape.